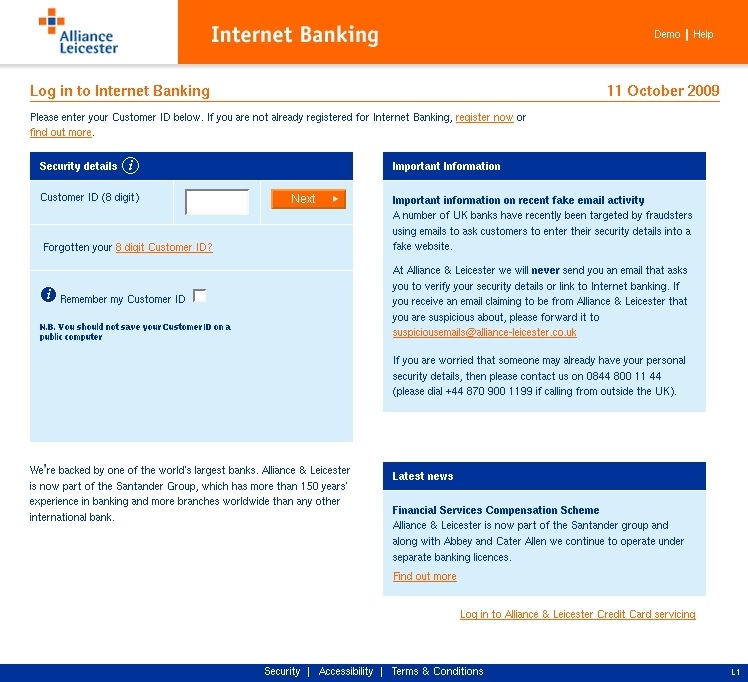 Email asks you to confirm/update/verify your account data at Alliance&Leicestercustomer-support@alliance-leicester.co.uk by visiting the given link. 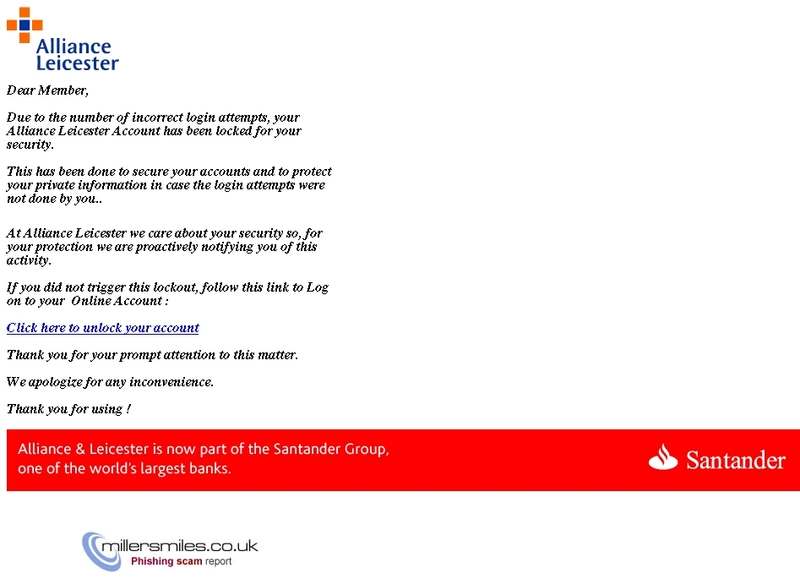 You will be taken to a spoof website where your details will be captured for the phishers. Alliance&Leicestercustomer-support@alliance-leicester.co.uk never send their users emails requesting personal details in this way. been locked for your security.